This outstanding home was built in 1918 and home to the present family since the early 1950's. The old brick fireplace has a new wood insert in the front room and like the dining room has the old style high ceilings. Waiting for your creative updates is the attic/storage area that runs for most of the length of the home. 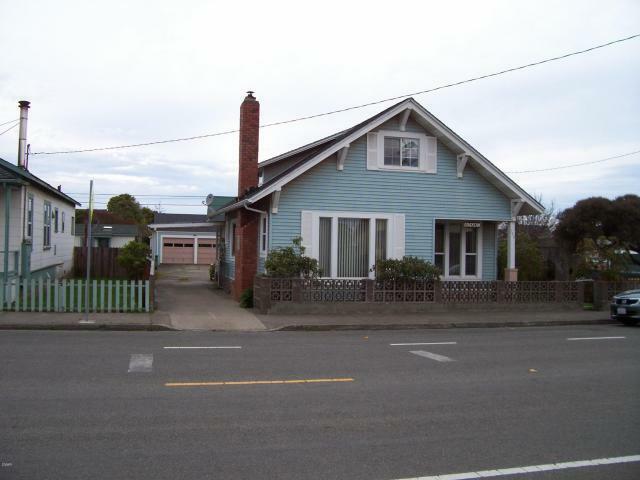 This 2 bdr 1 bath home sits on a large lot and a half, with a detached 2 car garage and shop built in 1938.There is a covered car port leading to the back porch for your convenience in bad weather.